Bringing out the “LOVE BUCKET” for our friend and yours… Curtis Salgado. Curtis had to cut his east coast tour short for an emergency triple bypass heart surgery recently! Due to the fact that he has incurred massive medical bills and can’t work right now to even pay his normal bills, I’d like to invite ya’ll to show your love by coming out to Catfish Lou’s (2460 NW 24th Ave., Portland) Thursday June 8 and putting whatever funds you can afford into the “LOVE BUCKET” for our pal Curtis Salgado. 100% of what you contribute will go directly to him. Curtis is healing nicely and hoping to be back at work in July. If we can help even a little let’s do it. After all he has made us feel good for a mighty long time. BTW – I’ve been diggin’ on the new acoustic recording Curt & Alan Hagar just finished…over, and over, and over again. It’s fantastic! Also, “The All Star Band” playing for you on June 8 will record June 11 as the brainchild of Boyd Small & Willy Barber. Such guests as Louis Pain, Peter Dammann, Big Monti and myself. Others are welcome join in on Thursday night as well. Lady True Blue – Lady Kat – Low, Rich, Full Bodied Voice’ that carries the likes of Etta James, with a little of Wynonna’s twang, and the depth of Della Reese! Born and raised in the Northwest she was surrounded by the sounds of Blues and Country music. Although starting out her music career at a later age in life Lady Kat has the style performance and sound of a well-seasoned artist. Spreading her wings to venture forth to pursue her dream as a national, even global blues artist, Lady Kat “Lady True Blue” has been showcased in phenomenal groups like the Northwest Women Rhythm & Blues, Celebration of BB King Show, playing with Portland’s finest musicians and was a favorite at Jimmy Mak’s Club. The past eight years Lady Kat has been performing at the Safeway Waterfront Blues Festival. She has shared the stage with Fiona Boyes, Linda Hornbuckle, Janice Scroggins, Duffy Bishop, Lady A, & Ellen Whyte, Sonny Hess, Lisa Mann to mention a few. This year at the Safeway Albertsons Blues Festival “Lady True Blue” brings her own show to the main stage debuting the release of her first CD. Her first CD offers a lyrically powerful original “Soul Barin’ Blues” the title cut. “True Blue”, a song written by Sonny Hess as a gift to Lady Kat, Lady True Blue and in return a bluesy rendition of “Drift Away” dedicated to Sonny, to mention a few. 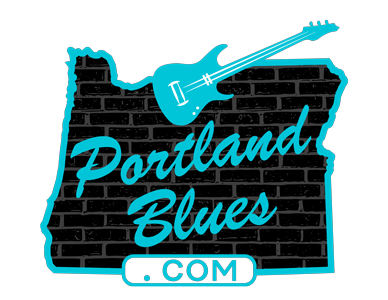 There are several top-notch Portland musicians featured on various songs.